We get it. The word assessment can be scary, as it eerily resembles other distasteful grade school terms like quiz or test. 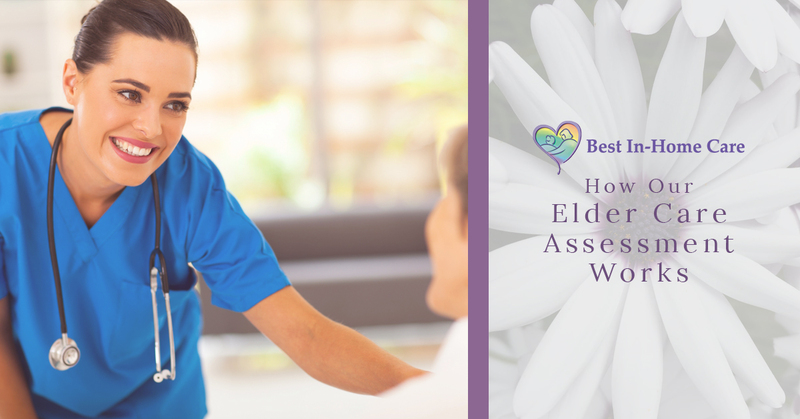 At Best In-Home Care LLC in Lubbock, Texas, we want to make sure that you know when we use the word “assess,” we mean the assessment of our future patient’s needs, not an assessment of if the patient deserves elderly care or not. Because of the negative connotations that the word “assessment” entails, we would like to thoroughly explain the request process so that all of our potential future patients can better understand how we operate our elder care in Lubbock. So Why Do We Ask For A Request? Our initial reasoning for asking our potential future customers, or their loved ones, to submit a request is so that we can get to know more about you. Before we have a face-to-face meeting, we would like to know things like your lifestyle, medical conditions, mobility issues, and any other general information that we can use to make an initial estimate of how much assistance you will need to live comfortably in the independence of your own home. Once we have a better idea of how much help you will require from our professional and experienced home health care teams, we will set up a meeting where we can discuss all of our services, specifically the services that can benefit you or your loved one most. Finding the right caregiver that matches the needs and personality of the patient. A discussion of daily routines so that we can plan accordingly. A discussion about any outstanding health or medical issues so that we can be prepared. An outline of any nutritional issues and create a meal plan that follows them. A list of cleaning and transportation needs that are to be expected. Costs and structure of our senior services. What Do We Do After The Meeting? After our face-to-face meeting, it is our turn to start doing all the work, as we will immediately begin to build a comprehensive and holistic senior home care plan. Our plan will address the physical, psychological, and social needs of both the patient and their family, as it is our goal to make our elder care streamlined and effortless to you. Stressed about money? Don’t fret, because we can build a plan to fit practically any budget. Here at Best In-Home Care LLC, we understand that having to request for a senior services assessment might seem a little odd, but we do it so that we can ensure that we are prepared to take the best care of you or your loved one. So contact us or request an elderly assessment today so that we can take a step in the right direction for your elderly care needs.